Gift presents for kids: Pimp those baby pants! 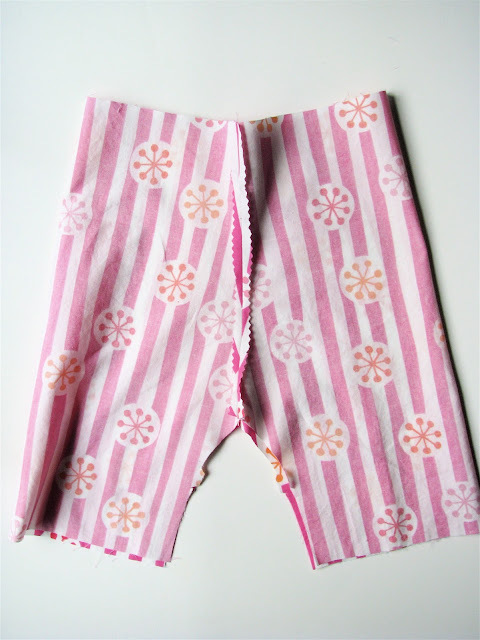 I’ve made this pattern available for free with the intent that it be used for personal (not-for-profit) use and that it be accessed here at Made By Rae and not copied or distributed elsewhere. 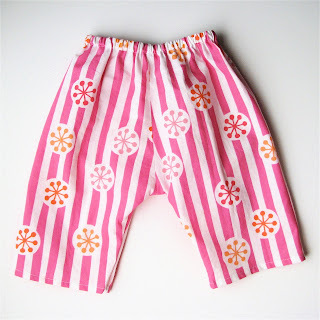 Please link back to this post to your heart’s content, but please don’t post this pattern, the tutorial or any of the images below on your own website. If you borrow any of the images above (that’s fine), please link back and give clear and proper photo credit. Thanks! 1. 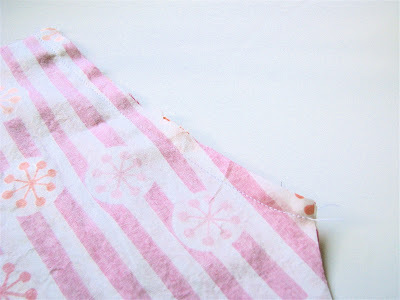 Print and cut out pattern pieces and tape together along dotted line. 2. 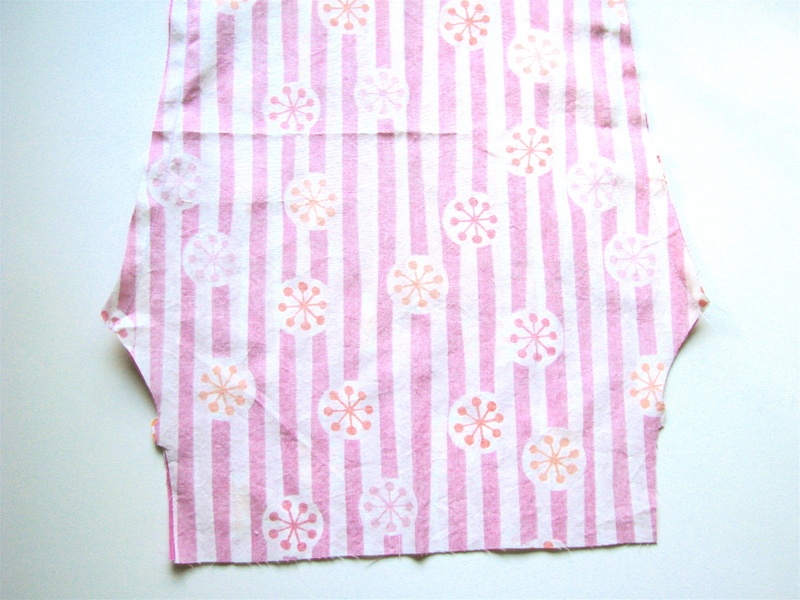 Cut out two pant panels on the fold. Mark the leg seam and center seam edges (I cut a little tab along the edge of the leg seam as I was cutting). 4. 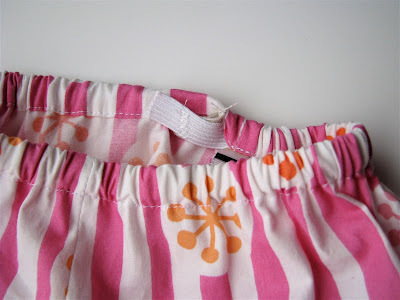 Sew the pants together along just the center seams with a 1/2″ seam. 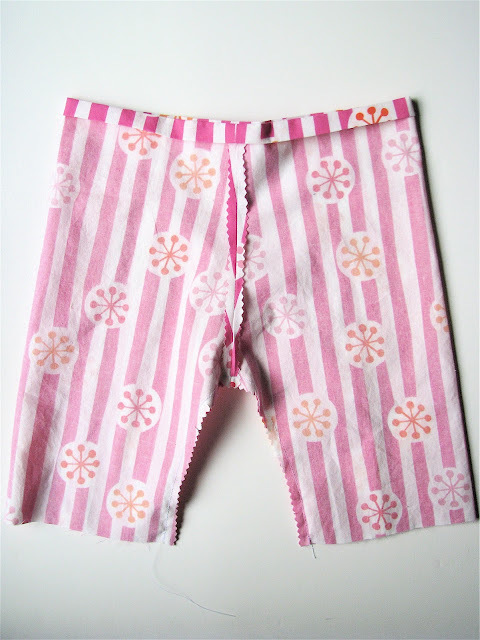 Make sure you don’t sew all the way down the leg, just the center seam! 5. Trim center seam to 1/4.” Open up pants and press seams apart. 6. 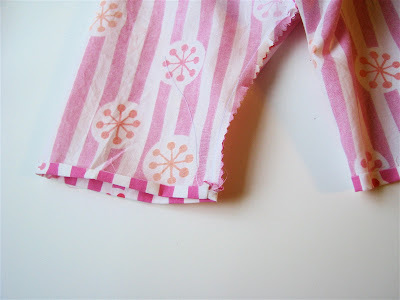 With center seams lined up and pants still inside out, sew inner leg seam from cuff to cuff with a 1/2″ seam. 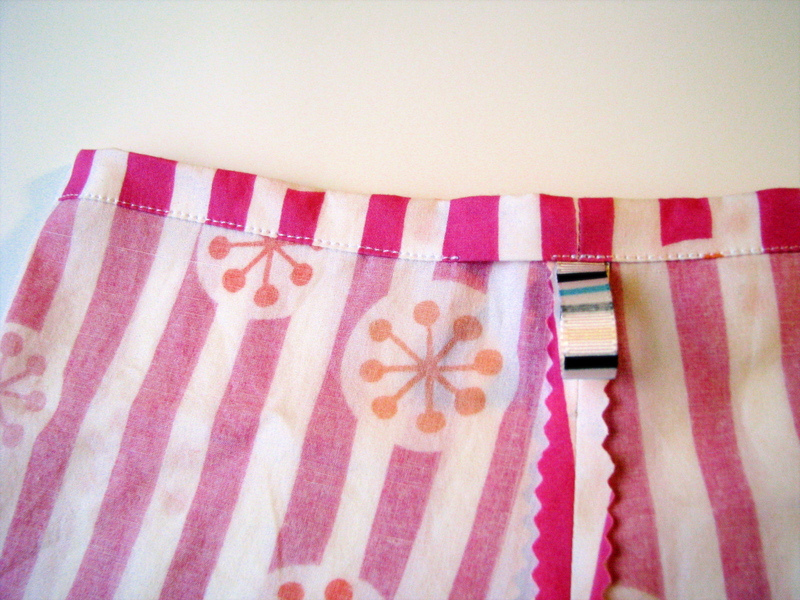 Trim to 1/4″ and press seam. 7. 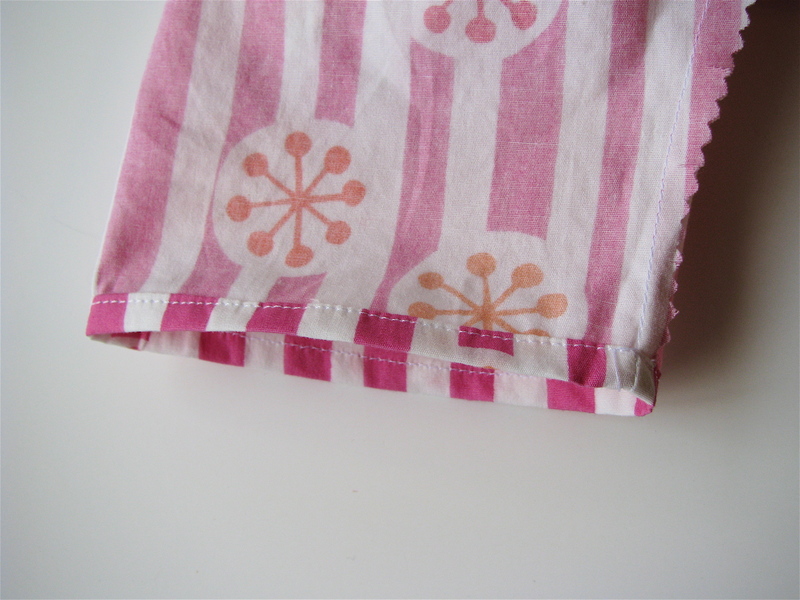 Fold 1/4″ over at waistband, press. 8. Fold another 1/2″ over at waistband, press again. 9. Decide which side of the pants will be front and which will be back. Starting at the back, sew around the folded section to form a waistband casing. 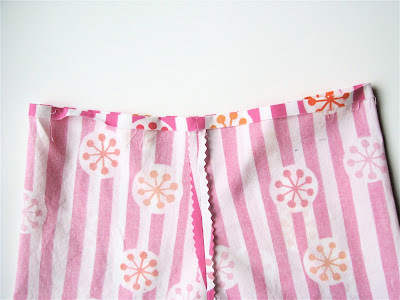 Leave a 1″ gap for elastic at the back. I also put in a ribbon hanging tab for Mr Rae at this point to help him tell front from back, but honestly it doesn’t really matter. 11. 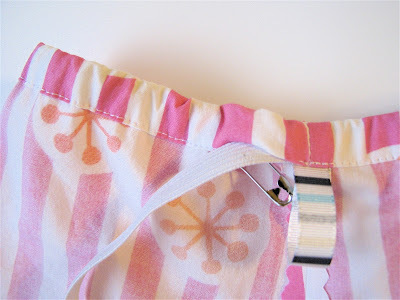 Using a safety pin or bodkin, thread elastic through waistband. 12. 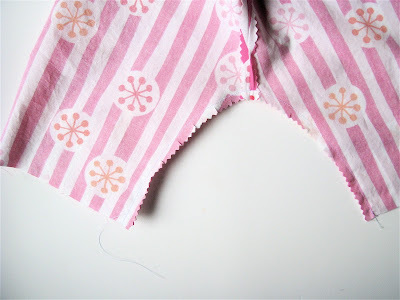 Overlap ends of elastic by about 1/2″ and zigzag stitch back and forth a few times to secure. Tuck elastic inside waistband and stitch waistband shut. 14. Fold another 1/4″ under at the bottom of cuff and sew down. Repeat for other leg. Put those pants on your baby and admire! As usual, if you find any mistakes here or anything that needs clarifying, will you please let me know? Enjoy!!! Come back tomorrow (UPDATED: Monday! 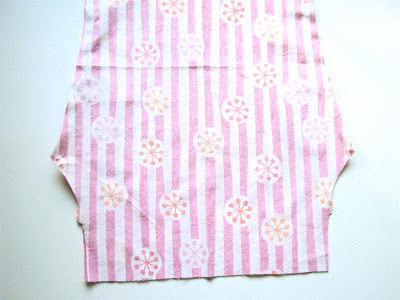 Sorry, Halloween costumes got the better of me) and I’ll show you how to make the pockets (they work on the B3Ps too as well as a boatload of other things) and add the trim at the cuff.